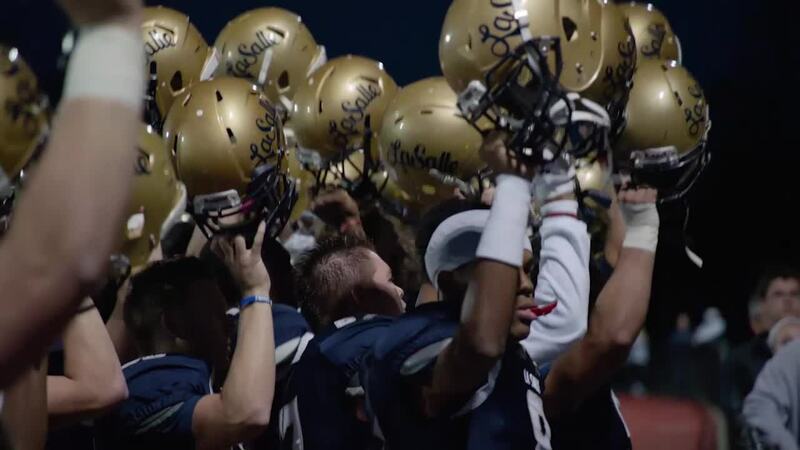 La Salle College High School means joining a brotherhood whose connections will remain with you for life. Brotherhood is a bond forged in shared experience and strengthened by time.A strong, close-knit community offers support and camaraderie within and beyond campus life, providing an invaluable network of like-minded individuals wherever your personal, academic and professional paths lead. La Salle College High School is a community where students are taught to make use of their freedom and overcome prejudices, ready-made ideas, and social pressures. La Salle students are encouraged to listen, seek, understand, trust, love, respect and contemplate - all in an attempt to develop in the image of God. All students driving to school must park on campus. Parking is permitted only in the lower parking area, not in front of the school or around the island near the auditorium. The speed limit on campus is 15 miles per hour. STUDENTS ARE NOT PERMITTED TO GO TO THEIR CARS DURING LUNCH PERIODS OR ANY OTHER TIME DURING THE SCHOOL DAY. All students must obtain a parking permit from the Student Affairs Office. Permits will be given out in September. La Salle also sponsors private busing at an additional cost to some areas. Fees for this service vary according to the plan selected. The routes serve Northeast Philadelphia, Chester County, Delaware County, Montgomery County, and Bucks County including the Yardley/Newtown area. For more information, visit our Transportation page. Team 5181 will compete at Lehigh University April 4th to 6th. Eight Explorers qualified to compete at the State Tournament. Five students will represent the team at National Catholics in Milwaukee and an additional three students qualified for NSDA Nationals in Dallas. The team also won a major award - the Engineering Inspiration Award which "Celebrates outstanding success in advancing respect and appreciation for engineering within a team’s school or organization and community."